Along with a brand refresh, Cincinnati Inc wanted to redesign two of their new high performance machine tools to serve as aesthetic benchmarks for their new fleet. 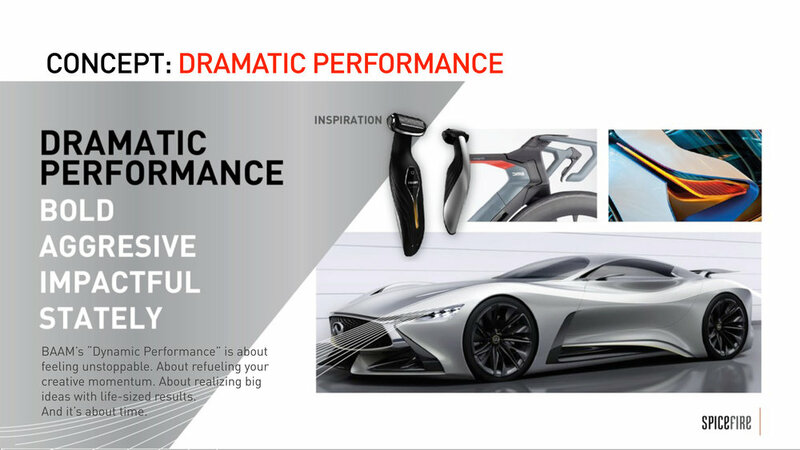 We worked closely with their engineering team to create achievable designs that highlighted C-I's high-level machine performance. 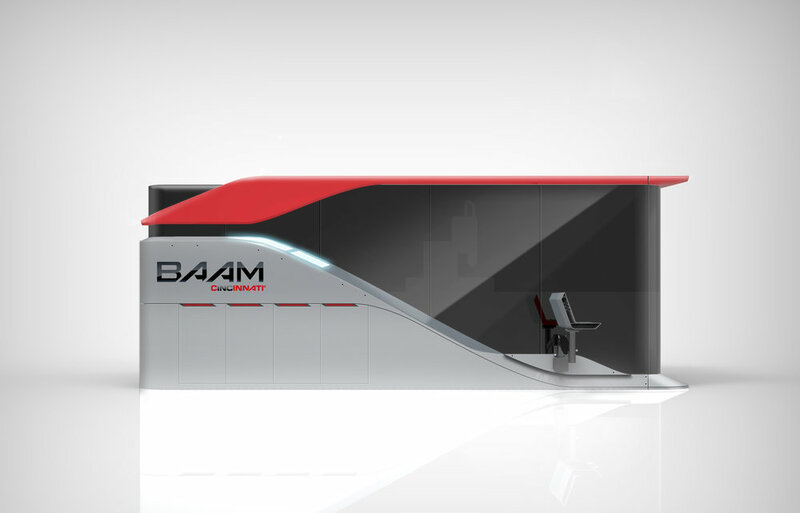 BAAM is a revolutionary large-scale 3-D printer, so we made sure that the 4 groups we ideated within all referenced back to this one-of-a-kind technology, both directly and metaphorically. Leveraging existing CMF, we explored agressive and fast forms to highlight BAAM's high speed capabilites. 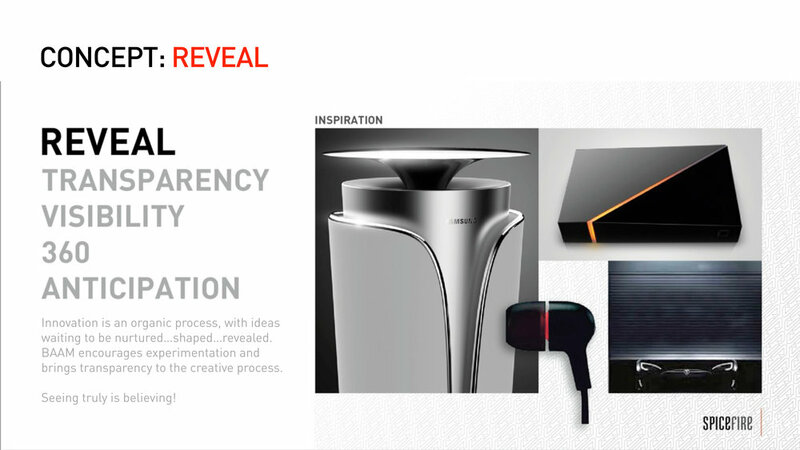 Increasing visibility allowed us to create a cinematic reveal during the printing process. As print approaches completion, internal lights fade on, while external status lights show progress. 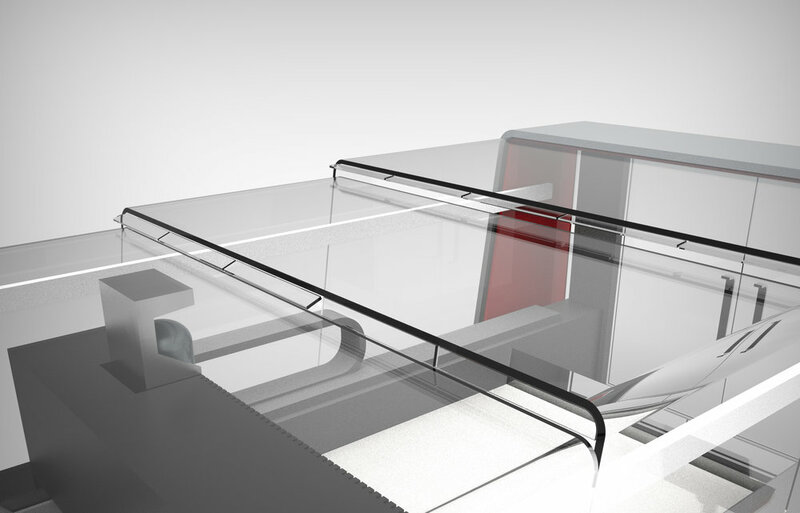 The ascending transparent panels reference back to the additive nature of 3-D printing. 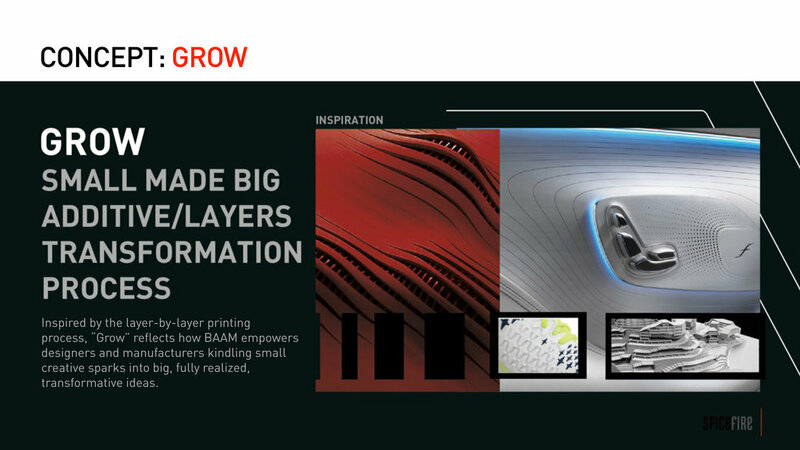 The organic corner piece with light emitting could be 3-D printed by BAAM itself. The four side panels provided a perfect branding opportunity. Louvers on roof allow for temperature control during printing. A dramatic stance and layered paneling turns a static machine into something exhilarating. A large-scale light pipe creates an evocative first impression that can be seen from a great distance, ideal for trade shows. 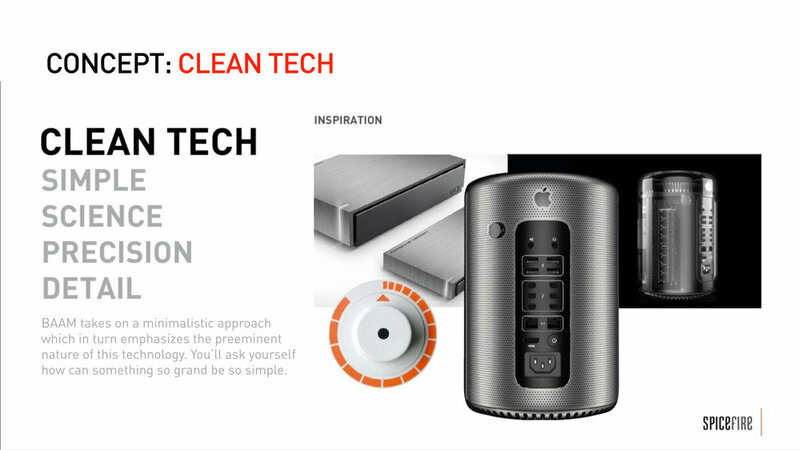 Taking cues from consumer electronics, this concept was the most understated and easiest to manufacture. We used color, patterns and material breaks to create logical affordances. 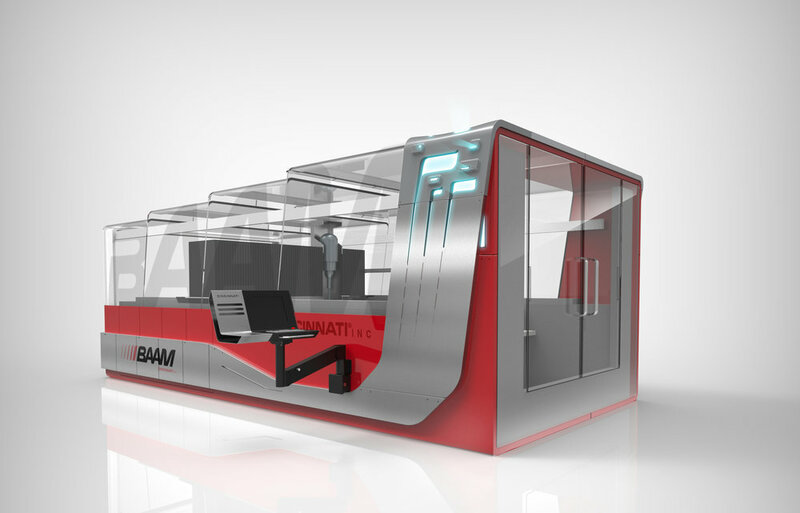 C-I had already created an initial prototype for their new Electric Press Brake, but wanted to redesign the exterior to match some of the new design characteristics we established through our BAAM exploration. — Lee Standfield, CEO Cincinnati Inc.